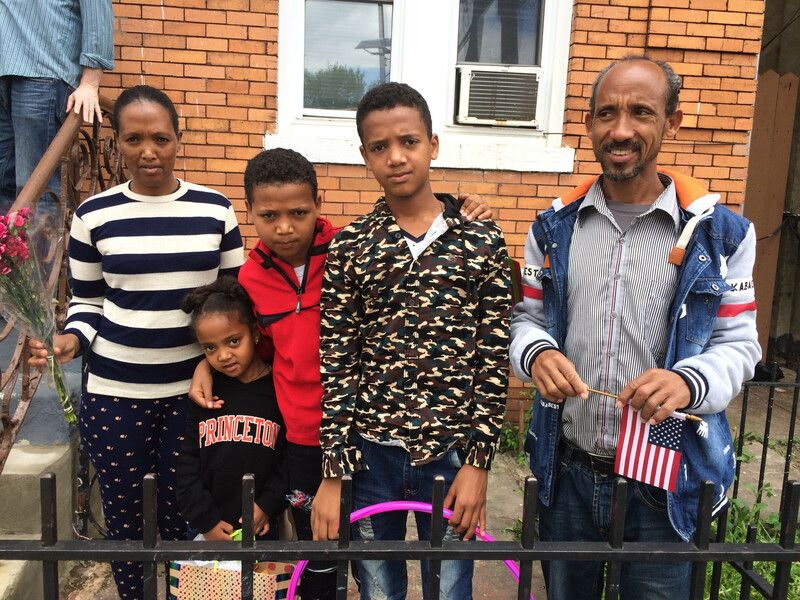 When a band of volunteers from West Side set up an apartment in Jersey City for a family of five from Eritrea, they didn’t know they were following in the footsteps of Frank and Barbara Schott, who co-chaired a West Side task force to help refugees from Southeast Asia in 1979. For the past 10 years, Kathy Koop has been quietly teaching English as a Second Language (ESL) classes at West Side. We recently caught up with her to find out more about this vital ministry. How did you get started teaching at West Side? Our assistant pastor at the time mentioned the need for ESL classes, and I thought, “I can do that.” I have a graduate degree in teaching English and had been doing professional development for teachers of English in many countries for more than 20 years. We started with a Tuesday-morning class and it has since expanded to an afternoon reading/writing class and then a Bible study on Fridays. The classes have evolved over the years, with a total of about 20 students attending one, two or all of the classes. Where are the students from? Mostly Asia: Japan, Korea, China, Bangladesh, but we’ve also had people from Mexico and Venezuela. The first few years we advertised the class in the Ridgewood News, but now the students come through word of mouth and, recently, some through West Side’s website. Many are in the U.S. because of their husband’s work. I challenge them to use this time for their own personal growth and encourage them as they help their children adjust to school and life in America. I share my own experience of living in foreign countries and my expertise in learning to live as a citizen of our global society. How do you work with them? Besides practicing pronunciation, listening/speaking and reading/writing skills, we focus on grammar and vocabulary. We discuss current events and news from their home countries. I ask them to write about their experiences of living overseas. Cultural issues are also important, and we spent one class on how to respond to an invitation to a classmate’s bar mitzvah. We just finished reading The Catcher in the Rye and writing about various themes of literature noted in this book. Some had read it before in their own language, and their teenage children are now reading it in English. The class has chosen as our next book, When Breath Becomes Air, by Paul Kalanithi. How has this work affected you? Some of the students are with me for a number of years, and I find myself getting really connected to them. My own children live far away, and their parents live far away. It seems we’ve bonded together at this part of our journey of life. I share my faith with them and encourage them to get involved in the “real world” here. Some have served lunch with me at Eva’s Kitchen and even joined me in visiting a West Side member at the Christian Health Care Center. It didn’t turn out to be the usual ESL class, but you never know how the Lord is going to use you. Twenty years ago, Eric Koskinen spent a Saturday at a Habitat for Humanity work site in Paterson with a group of West Siders...and he was hooked. Now he’s a volunteer supervisor on Habitat build sites in New Jersey, and he wants YOU to be part of West Side’s Habitat for Humanity partnership with First Presbyterian Church in Ridgewood. You do not need any special skills or experience to volunteer with Habitat, according to Eric. “Ninety percent of the people who show up have never been on a construction site or worked with anything other than a hammer or a screwdriver,” said Eric, who has an engineering degree as well as decades of experience in construction and real estate development. “You don’t need any experience at all. And you never know what you’re going to be asked to do that day—pulling weeds, putting up sheetrock, installing insulation, sweeping floors. You do whatever is needed on that particular day.” Are you ready to join the West Side Habitat team?